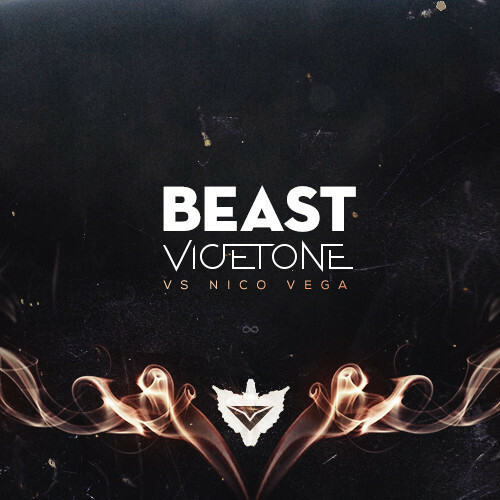 Vicetone vs Nico Vega – "Beast"
With the guttural roar of the rock of old, Dutch duo Vicetone takes Nico Vega's "Beast" and damn it's a doozy. Maintaining a definitive rock flair, Ruben & Victor (the masterminds behind Vicetone) augment the energy with some heavy-hitting bass and vibrant synths. With percussion work and electric guitar riffs still relevant throughout, Nico's powerful vocals are carried magnificently from section to section. If there is one thing about Vicetone that continues to impress me is how engaging their buildups are. They rarely are underwhelming, and are employed to near perfection as they carry the energy to its peak. Stream the track below, and continue to be on the lookout for more Vicetone bangers. @earmilkdotcom @Vicetone Like I said before AMAZINGGGGGG…….